The Last Encore — Creative Vision, Inc. 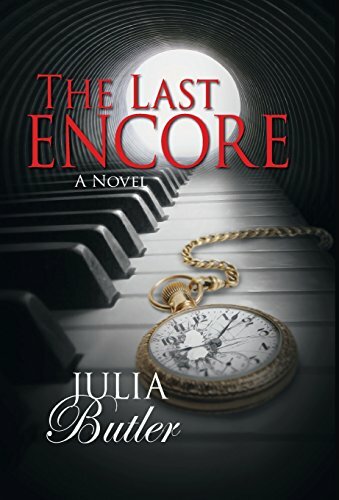 The Last Encore is literary fiction inspired by true events. It exposes an insidious family secret that puzzled the writer for decades, a subject so taboo, that she has never been allowed to share its implications with anyone, even as fiction, until now. Julia Butler's controversial novel explores a fascinating yet obscure psychological phenomenon that many might prefer to remain wrapped. She tells a powerful love story laced with intrigue, lies, and mystery, a story that is shocking and compelling to read. Two lovers are brought together through an intricate conspiracy. They are instantly drawn to each other by emotions so powerful that no force on earth could keep them apart. Forbidden love is all encompassing, and theirs is the strongest love of all. They share something that can neither be defined nor limited by imagination. Love is a higher force, a universal energy, capable of crossing over into an all new dimension. This is a tale of unspeakable passion, excruciating pain, and heartwarming hope, a book that readers will remember long after they have turned the final page. "Like all beings, I will eventually add my energy and matter and light to the fabric of the universe, a single strand in its amazing tapestry. But before then, I will find her, I must find her, and I will love her. I must love her. She will be my lover, my friend, my mother, my sister, my everything, and I will never want for love again. If it’s but a singular moment in time, that will be enough. One touch, one kiss, one glance to fill my soul and slake my thirst for all eternity." An old woman with a dark secret hatches a plot to bring two people together for her own mysterious reasons. They were meant to meet, but it was never part of the plan for them to fall in love. Life seldom follows a predictible path. However, rarely does it veer so violently off track, crashing through the boundaries of all convention and entering the unexplored territory that lies beyond the realm of normalcy. Compelled by irresistible inner forces, the two lovers experience passion and share a bond as unbreakable as a Gordian knot, until a series of shocking revelations shatter everything they hold dear.